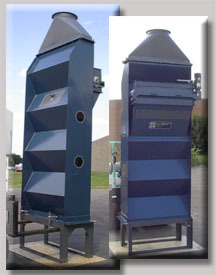 Counterflow air design allows complete separation of various product densities. Single ' Constant' CFM requirement. Variable speed roll feeder allows constant uniforn feed rate. 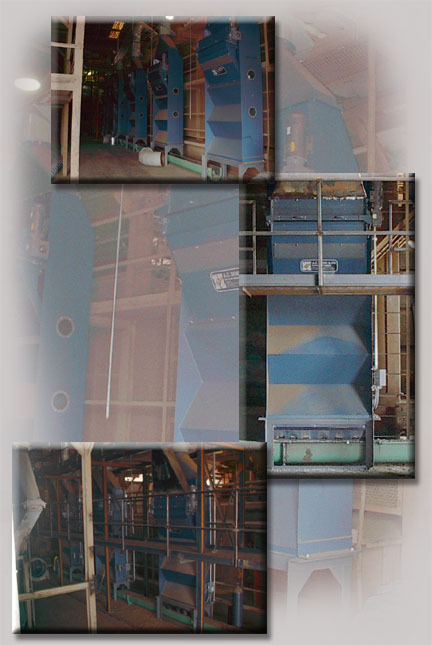 Air control damper can be set at the fan for ease of operation. Slope of incline angles and generous product area makes the design almost impossible to choke. Large oversize viewing windows make separation adjustments easy.